When the Assembly session began, AAP legislators did not wear the caps with party logos. Later when the House reconvened following a 30-minute break they were found wearing the caps. 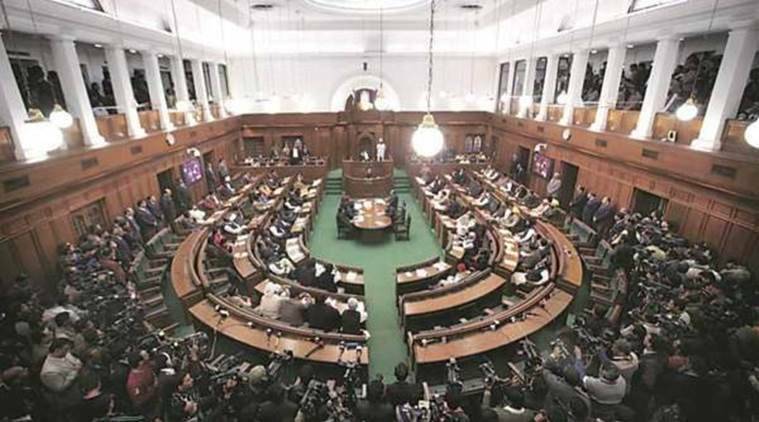 Chief Minister Arvind Kejriwal, cabinet ministers and AAP legislators wore caps with party logos in the Delhi Assembly during its special session on Monday, drawing criticism from the opposition BJP which termed it a violation of rules. BJP’s Leader of Opposition Vijender Gupta said according to the Legislative Assembly of National Capital Territory of Delhi Rules of Procedure and Conduct of Business, members cannot display any badges, flags, emblem and exhibits while in the House. He wrote to Speaker Ram Niwas Goel seeking “strong action” so that the dignity of the House is maintained in future. When the Assembly session began, AAP legislators did not wear the caps with party logos. The caps emerged after the House reconvened following a 30-minute break. The occasion was the sixth foundation day of the Aam Aadmi Party and in this enthusiasm, the MLAs wore caps inside the House, said AAP MLA and party spokesperson Saurabh Bharadwaj.